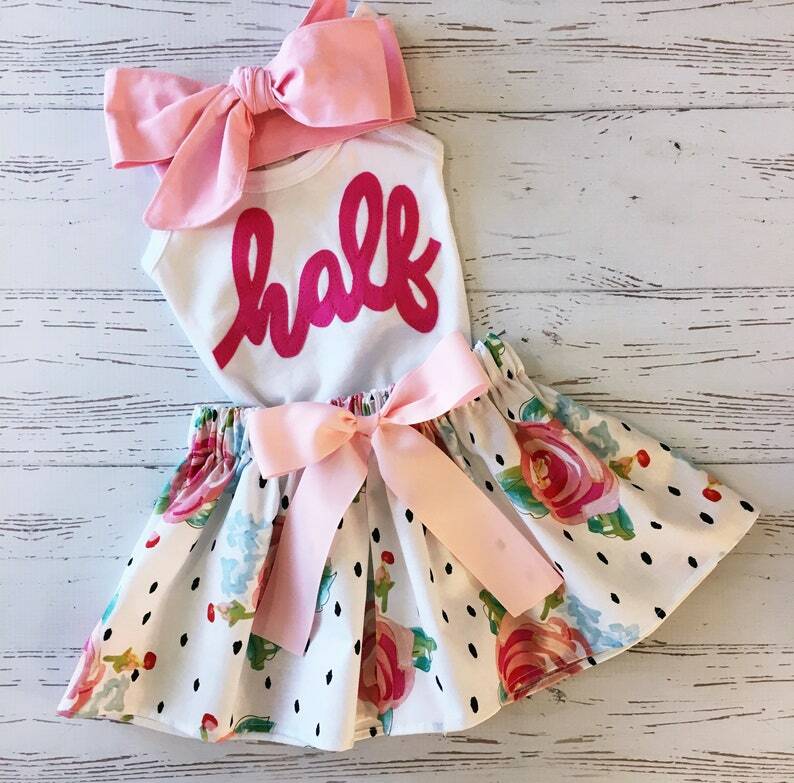 Half Birthday Outfit for baby girls. Floral Birthday Skirt and applique "half" shirt. Select from a Tank or Bodysuit in short or long sleeve. 3 Piece set includes everything shown - Pink head wrap measures 40" long and is adjustable.